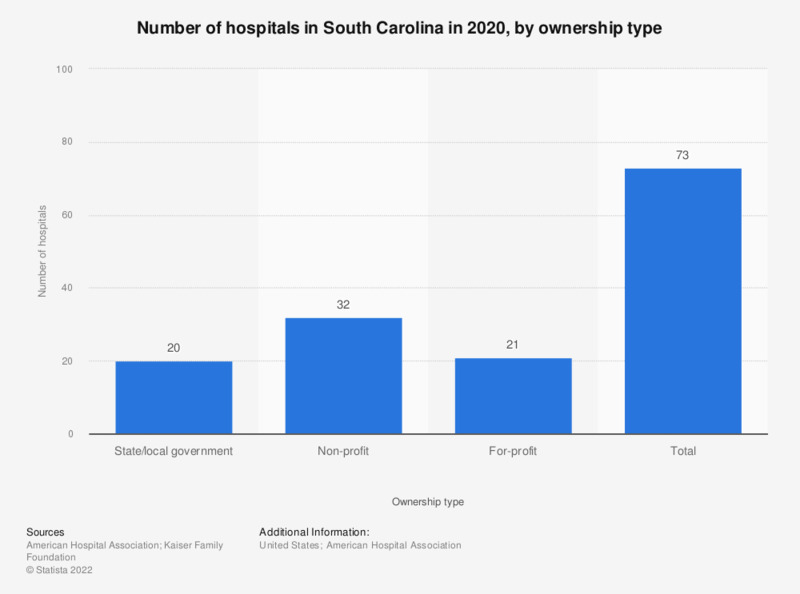 This statistic depicts the number of hospitals in South Carolina in 2016, by type of ownership. During this year, 15 hospitals in South Carolina were owned by the state or the local government. The number of hospital stays has increased in recent years in the country due to increasing population numbers.